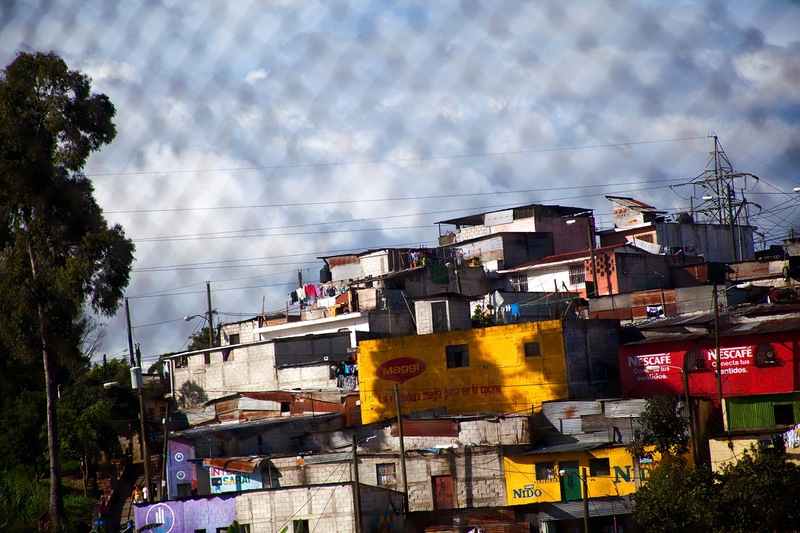 From afar the slums of Guatemala City look like the favelas of Rio de Janeiro, the ones that have gotten so much negative attention in the lead up to next year’s summer Olympics. 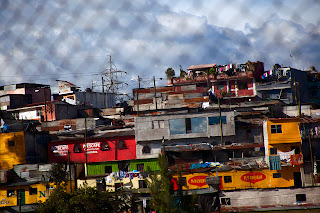 Like Rio’s favelas Guate’s ascientomentos are huge shanty towns that have risen on a hillside no man’s land near El Centro. 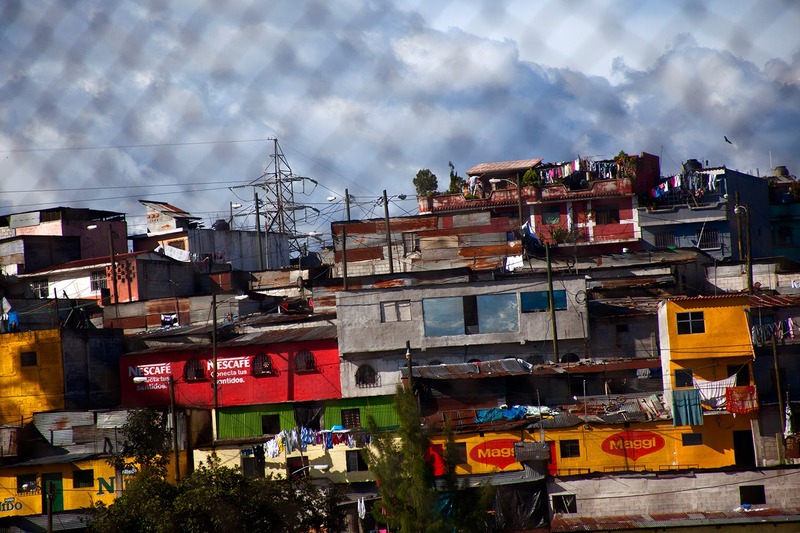 The name, in fact, comes from the verb “to rise up.” Thought of as lawless or at least outside civilian law, each vecino or neighborhood of the ascientomentos is governed by a gang that demands fealty and protection payments. Seen here from a highway overpass and through chain link this ascientmento is a vast corrugated and container city that is densely human, vibrantly colorful and forbidden to outsiders. Vibrantly colorful and forbidden says it all. Wonderful shots from behind the chain link fence. Are you going to give a photographic lecture or presentation to the community upon your return? It would be fascinating to see and hear more about your photographic adventures in a world apart. I hadn't thought about it. Maybe a slide show would be worthwhile.